A look at all of the confirmed characters you can play as in the official Jump Force roster. At the Microsoft Press Conference during E3 2018, Bandai Namco revealed a new fighting game called Jump Force along with a handful of confirmed characters featured in the game's official roster. Since then we've had loads more fighters added to the game, and there are still more secrets out there! Jump Force will be a traditional Bandai-style fighting game, and according to Bandai, will utilize 3v3 tag-team fighting. Jump Force is currently set to release sometime in 2019. 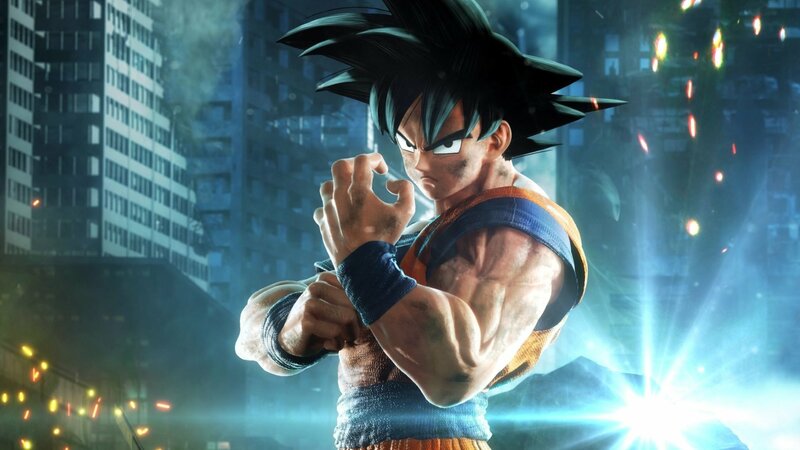 What sets the game apart from many others in the fighting genre is that Jump Force features a roster of characters from a variety of different franchises. All of Jump Force's confirmed characters stem from the popular Japanese anime periodical, Weekly Shonen Jump. There are thousands of series that have run over the years in the manga collection, with 23 in the current rotation. Some of the confirmed characters in Jump Force include characters from notable franchises such as Dragon Ball, One Piece, and Bleach. Other series that players are hoping to see represented in Jump Force include My Hero Academia, Hunter X Hunter, Boruto, and Gin Tama. Want to know more about the characters in the Jump Force trailer? Here's the current confirmed character roster for Jump Force! Update 9/21: A new story trailer for Jump Force was released alongside new screenshots that confirm the inclusion of Izuku Midoriya from My Hero Academia, Boa Hancock from One Piece, and Renji Abarai from Bleach. We'll update this list as more info is posted about Jump Force, which is set to release in 2019. In the meantime, what do you think of the confirmed Jump Force character roster? Who are you most excited to play as, or against? Let us know your thoughts down in the comments below! By reading through this guide, you should now know all of the confirmed characters featured in the official Jump Force roster!